Explore pristine beaches, rainforests, and volcanoes. Hike trails through farmland, tropical rainforests and elaborate ecosystems, keeping your eyes open for colorful toucans, parrots, herons, sloths, and howler and white-faced monkeys. These are just a few of the delights you have to look forward to on any of our Costa Rica luxury vacations. Learn as your guide explains the fascinating interaction between plant and wildlife in the surrounding environment. Visit Manuel Antonio National Park, home to some of the most well-known and beautiful beaches in Costa Rica. 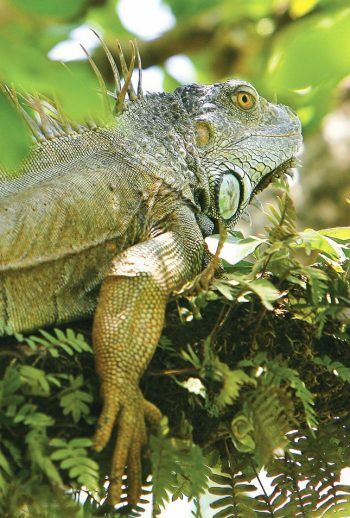 Traverse through acres of protected, pristine forest, as you navigate the Sierpe River through the largest mangrove wetlands on the Pacific Coast of Central America. Kayak around Tortuguero National Park and come face-to-face with turtles and manatees, or snorkel amongst colorful coral reefs on the Osa Peninsula. Each of the 12 months offers something truly special and unique for a Costa Rica luxury vacation. 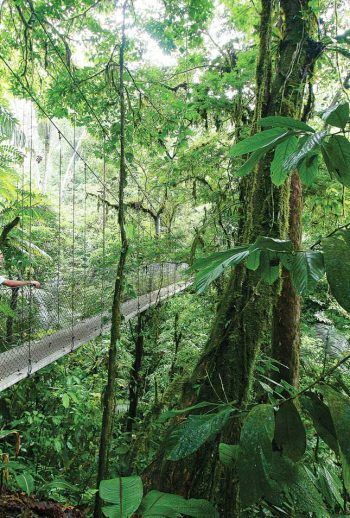 Depending on the type of vacation you’re looking for and the activities you’d like to partake in, the best time to visit Costa Rica will differ from one traveler to another. Often categorized by travelers into two “seasons” – the Costa Rica rainy season and the dry season – you can expect slightly different weather patterns depending on which half of the year you choose to visit Costa Rica. Despite what you may be inclined to think, the traditional rainy season can actually be a very beautiful time of year to visit Costa Rica. Each day, you’re safe to assume that when you wake in the morning, the sun will be shining brightly, eventually to be followed by some clouds and showers (our guides like to think of it as a rinse, wash, repeat sort of thing). It’s during this time of year that the greenery is at its finest – lush, and beautiful. During this period, average temperatures range between 62-80°F. Be advised that rainfall will be at its heaviest during the months of September and October. Typically referred to as the country’s peak, or busiest, season, this is an excellent time to visit Costa Rica if you’re worried about the rain having any impacts on your travel plans. During the dry season, you’ll enjoy full access to the country of Costa Rica (including the remote areas that may be hard to reach during the rainy season), as well as excellent weather for many of our most enjoyed activities – like rappelling, hiking, ziplining, and kayaking. During this period, average temperatures range between 64-82°F. Read more about the Best Time to Visit Costa Rica. WONDERING WHAT TO PACK ON YOUR COSTA RICA ADVENTURE VACATION? The secret to comfort and happiness on any adventure vacation starts with being well prepared. Having the right tools and equipment to ensure your comfort goes a long way when you’ll be hiking, biking, swimming, and exploring for days on end. Use these general guidelines as a place to start your adventure travel prep. This travel tip comes up time and time again when we help guests prepare for any of our adventure travel tours: never underestimate the importance of solid footwear. Uncomfortable feet often lead to an unhappy traveler, so be sure to keep them top of mind as you pack. As a general rule of thumb, you should always be equipped with running sneakers, hiking boots and proper socks (including extras! ), and river shoes or sandals. Your tour guide will carry adequate First Aid supplies, but it never hurts to throw in a bandage or blister prevention of your own! If you’re booking an adventure vacation with us, you’ll know exactly what types of activity your trip will include. Consult your itinerary to inform your packing decisions – if you’re hiking, bring proper hiking boots and wool socks, if you’re rafting, be sure to have water-friendly clothing, including multiple swimsuits, and so on. Be Prepared for the Elements. Especially important if you’re visiting Costa Rica during the rainy season, you should always be sure to have a lightweight raincoat or poncho on hand. And if you’re going to be exposed to the hot, humid climate of the rainforests, an umbrella is probably an even safer bet! If you’ll be enjoying the beauty of the mountains, you’ll witness the other end of the spectrum (the temperatures can be quite chilly). Be sure to pack multiple clothing layers, as well as a warm outer layer. Other supplies that help ensure your comfort no matter what the weather are: hats, bandanas, lotion, and sunglasses. Leave Some Things At Home! We talk so much about what to bring on an adventure vacation, but what not to bring can be just as important! There are certain things that will inevitably add more stress than enjoyment to your vacation, and let’s be honest, who couldn’t use a little more room in their suitcase? On your next trip, try leaving these items behind: jewelry, wallets (if you’re bringing a wallet, chances are you can empty at least half of its contents out before the trip), house keys, impractical shoes, and multiple sets of formal clothing. There’s a reason why our Costa Rica adventure vacations are consistently some of our best sellers. It’s an ideal paradise that has so much of nature’s finest to offer, from incredible activities to some of the world’s most stunning views. Keep these travel tips in mind to ensure you have the best vacation possible! There are certain aspects of a trip to any destination that’s new to you that will inevitably cause a little bit of stress. But be open minded, and remember the reasons you’ve chosen to embark on this incredible journey. Remember to be judgement-free, and to take part in the things that will most enhance your travel experience, like joining in a local tradition, being open to new foods, and getting outside your comfort zone. Your adventure travel tour guide is a well-trained, well-versed individual in all things Costa Rica. Use this to your advantage! Ask questions, and get involved in as many Costa Rican experiences as possible. Travel is all about learning, after all. There’s so much to see and do in Costa Rica.So much, in fact, that we have multiple Costa Rica vacation packages allowing you to explore different aspects of what the country really has to offer. Are you most interested in the rainforests? Try our Arenal Rainforest to Manuel Antonio tour. Really into the idea of exploring the Osa Peninsula? Try our Osa Peninsula and Savegre Forest tour. Deciding which activities or sights are your highest priorities can help you choose your vacation.